Mr. Lee A. Ohigashi appointed to the Maui County seat on the State Land Use Commission (LUC). HONOLULU – Gov. 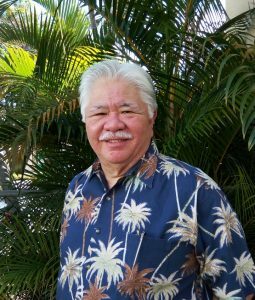 David Ige today announced the nomination of Mr. Lee A. Ohigashi to the Maui County seat on the State Land Use Commission (LUC) for a term beginning June 21, 2017 and ending June 30, 2020. The appointment is subject to confirmation by the Senate. Ohigashi lives with his wife in Wailuku where he operates a private law practice emphasizing family and administrative law. From 1980 to 1985 he served as a deputy corporation counsel for the County of Maui. He is an active member of the Japanese Chamber of Commerce and the Japanese Cultural Association of Maui. He has also served on the State of Hawaiʻi Criminal Justice Commission, University of Hawaiʻi Board of Regents, State of Hawaiʻi Board for Vocational Education, the University of Hawaiʻi Board for Vocational Education, the University of Hawaiʻi Research Corporation and the County of Maui Liquor Commission. Ohigashi graduated from Baldwin High School, completed his undergraduate degree in political science at the University of Redlands, California, and obtained his Juris Doctor from the University of Hawaii School of Law (now William S. Richardson School of Law). “Lee’s legal expertise will be an asset to the Land Use Commission, and his community service has kept him in touch with the issues our community cares about most. I know he will make a significant contribution on the LUC,” said Gov. Ige. “As I take on this responsibility, I will continue to follow my father’s advice to listen, be fair and make up my own mind on issues before the commission. My goal is to support initiatives that will address the critical lack of affordable housing for all segments of the population and the ever-increasing statewide challenge of homelessness,” said Ohigashi.